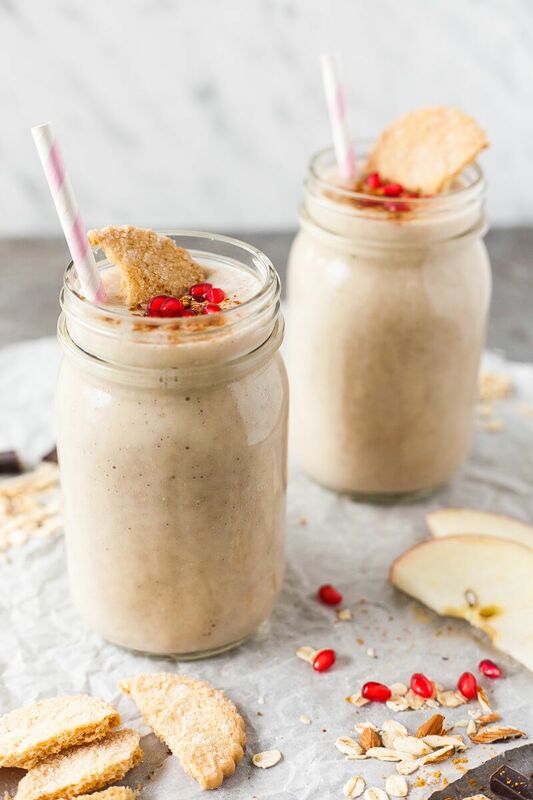 This simple Apple Banana Smoothie reminds us of kids food :) It's delicious, nutritious and super easy to make in just 10 minutes. Peel your fruit, then dice and put in blender. Add yogurt, some water as needed (depending how thick you want your smoothie), rolled oats and a cookie. Blend until smooth. Pour into mason jars, dust with cinnamon, sprinkle pomegranate seeds on top and place half a remaining cookie into each jar for decoration. Serve.